Alfreton Town return to the Impact Arena on Saturday looking to build on Tuesday night's win at Ashton United, as Spennymoor Town visit us in the National League North, kick off is 3pm. 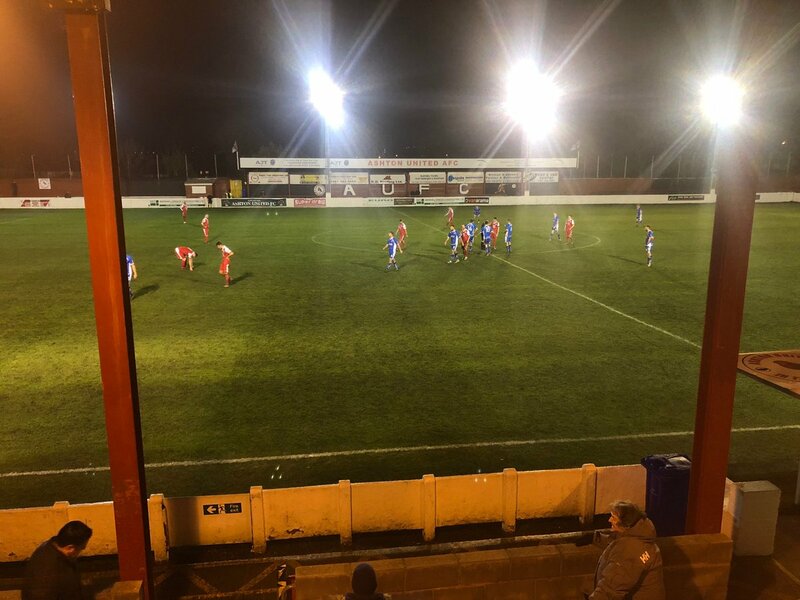 After Tuesday's win at Ashton which saw a slightly flat first half display in which the hosts had the better chances, the Reds came out the blocks well in the second period and momentum and tempo switched our way. We created good chances in the second half as Richard Peniket and Reece Styche scored the goals to grab an elusive league win. Our quality shone through in the end and it was a crucial result to end the poor recent league form. The three points were vital, as we now look to re-ignite the league campaign and use Tuesday's result as a hopeful springboard to get us back up the National League North table. We head into the contest having won two of our last four league games but have won just once in our last six at the Impact Arena (3-1 v Nuneaton). We will be aiming for back to back league wins for only the second time this season. Visitors Spennymoor arrive sitting in 6th place in the league table with 30 points from 17 games. The Moors have two games in hand on current league leaders Bradford (Park Avenue). Spennymoor are unbeaten in their last four league games (W2, D2) and have only lost once in their last 12 league games. The Moors have lost just once on the road since August 14th, a 4-1 defeat at Brackley Town. Along with Chorley, Boston and Stockport, Moors have conceded the least amount of goals away from home this season (8) but have picked up a red card in two of their last three away fixtures. For fans making their own way to the Impact Arena, we have a small car park next to our ground for a small fee. Otherwise it is street parking in the surrounding roads, please be respectful to our neighbours.